Ravens and Chimes stopping by WHFR tonight! 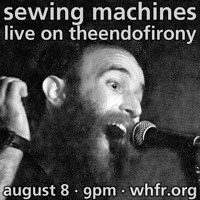 Don't forget to tune into WHFR tonight at 9PM (ET) for our bi-weekly radio show! Tonight Ravens and Chimes will be stopping by, and we have all sorts of questions about their forthcoming album, MTV's Skins, and much more! Don't miss it!